“I’ll take your finest Mocktail please!” you reply. “Coming right up!” the bartender kindly replies. You see, you are not in an ordinary bar that serves ordinary alcoholic drinks. You are in one of the growing number of Sober Bars that are currently taking the world by storm. My name is Andy and I am an alcoholic. 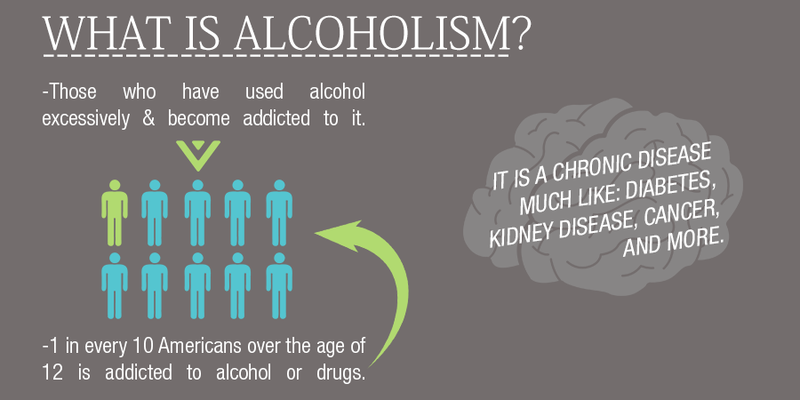 I have certainly had my fair share of struggles battling alcohol abuse throughout my life. These days, I am 9 years sober and enjoying a productive and healthy lifestyle. However, I clearly recall the period right after I left the alcohol rehabilitation program in Boise, Idaho, because it was probably the toughest time for me in my recovery process. The temptations of old habits were always at the forefront. I would receive messages from my friends inviting me out for drinks or dancing at a cool new bar every weekend. Alcohol was something that I always had relied on to have a good time. It’s a substance that is thoroughly ingrained in cultures around the world. Turning my friends down was extremely tough for me, but I knew it was the right thing to do as I took my first steps towards sobriety. I envy the fact that recovering alcoholics today have the opportunity to experience a great night out in a Sober Bar without having the temptations of a relapse. I’m very excited for the opportunity to share with you in detail why Sober Bars are so intriguing and why if you are a recovering alcoholic, you simply must check one out! What is a Sober Bar? A Sober Bar is an establishment where people can gather in a social setting without the temptation of drinking alcohol. These places are not so different from the regular bars that most people are accustomed to. You will find music, ambience, dancing, socialization, and great drinks at a Sober Bar. The only real difference is the complete lack of alcoholic beverages on the premises. This idea is where the other name for Sober Bars -“Dry Bars”- is derived from. Contrary to popular belief, alcohol is not necessary to have a good time and meet new people. This is the fundamental concept of a Sober Bar, a place that provides a great environment where people can enjoy themselves without the presence of alcohol. So Who Goes To Sober Bars? There is a large variety of people you will encounter in a Sober Bar. For recovering alcoholics, the Sober Bar is the perfect place to spend a night out on the town at. I wish these had been around during my journey towards sobriety, because there were certainly times during my initial recovery stages that I wanted to go out and socialize without the temptation of drinking. If you are a recovering alcoholic, you now have the opportunity go out to a sober bar with your friends, family, or date and enjoy a cool & stress-free social setting. You can easily connect with other recovering alcoholics and share your stories in a relaxed venue. Additionally, you will find many young adults in Sober Bars that are just looking to have some fun without the pressure of drinking. It’s a liberating feeling to be able to act like yourself without the obligation of binge drinking. Finally, Sober Bars are an attractive option for women because they tend to feel more comfortable in a place free of alcohol. Unfortunately, alcohol can tend to bring out the worst in people. That is why the concept of a Sober Bar is so refreshing! In my opinion, Sober Bars are pretty much the perfect place to take a date. There’s a great environment, you have the opportunity to dance, and you won’t have to worry about awkward drunk encounters with individuals looking to hit on your date. Without alcohol as an added element, you don’t have to be concerned with fights breaking out, conflicts with unreasonable and belligerent people, and dealing with crippling hangovers the next day. Also, the drinks tend to be a lot cheaper without alcohol. As a single guy, I have noticed that Sober Bars tend to attract some truly lovely single women that are more relaxed and open to conversation since alcohol is not involved. I think that Sober Bars provide a great way to feel like you are participating in society while you recover from your issues with Alcohol. You can be social while maintaining your sobriety, which is a key step towards recovery and changing your habits. One last thing, Sober Bars tend to have some absolutely delicious non-alcoholic drinks known as “Mocktails”. These tasty beverages are very refreshing and you might even be able to pick up some intriguing new recipes to show off to your friends at your next social get together. If you are looking to check out a Sober Bar in the near future, and I highly suggest that you do, there are a few ways I recommend finding the best spots. A good place to start is by simply searching Google for “Sober Bars” in your area. The term is becoming more and more prevalent with every passing weekend. Additionally, local churches are a great place to find Sober Bar events. You also might have some luck finding awesome Sober Bars by checking with local alcohol rehab Centers. As a recovering alcoholic, I must say, the concept of a Sober Bar is something I think will revolutionize the recovery process. Recuperating from alcoholism can be an arduous and isolating process, and the opportunity for a fun night out without any alcohol related temptations is definitely a powerful tool. A Sober Bar is a place where recovering alcoholics and their supporting friends and family can go to socialize and enjoy each other’s company without the risk of substance abuse. You will encounter a variety of different people at a sober bar, including recovering alcoholics, young adults looking to have a great time without alcohol, and women who feel safer and more comfortable in an environment without alcohol. There are a variety of benefits you will experience when choosing to visit a Sober Bar. They are certainly a great spot for your next date night, you won’t have to deal with awkward confrontational interactions with intoxicated people, and you have the opportunity to sip on some absolutely delicious Mocktails. Finding a sober bar is straightforward, simply use Google or check your local churches and alcohol rehab Centers. Have you ever been to a Sober Bar before? Would you like to check one out? Please leave me a comment below if you found this article or the concept of Sober Bars interesting!